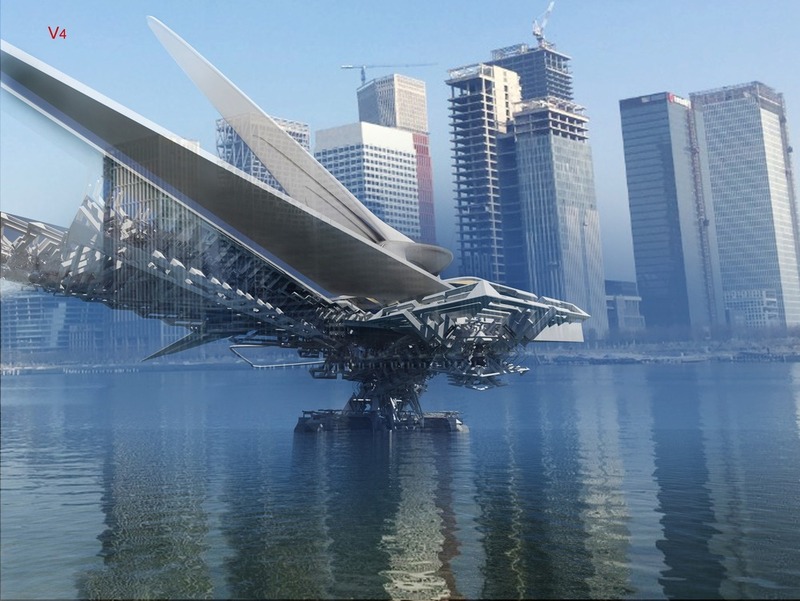 The bridge consists of a main floating section which gives buoyant support to three expanding walkways, and a carbon fiber triple sail which is raised and lowered by the buoyancy rotator. The bridge is a flexible structure that can relocate by sailing along the river to its new position. To do so, it folds into multiple sections that stack into each other. The program for this international ideas competition challenges participants to design a new Contemporary Bridge to carry pedestrians over the River Spree in Berlin. The new footbridge should create a new Icon or landmark in Berlin, considering that there are a number of existing examples of great bridge forms in this area of the city and its proposed position between two well-known bridges – the Schilling Bridge (Schillingbrucke) and the Oberbaum Bridge (Oberbaumbrucke). · Inter-Disciplinary Teams (engineers, designers in-conjunction with an architect). Submissions can be the work of an individual or a group up to 4 members (architects, architecture graduates or architecture students etc) aged 18 or over at the time of registration. Registration and participation in the competition implies an immediate acceptance by entrants of all terms & conditions governing the site and competition. 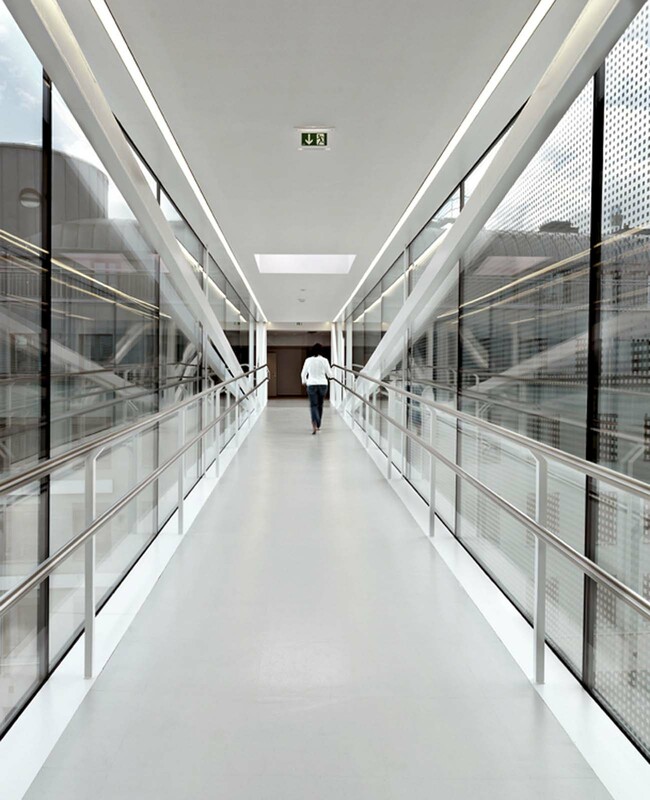 SOLID architecture designed a bridge that is enclosed on all sides to connect the two buildings Rennweg 44 and 46 at the fifth upper floor, 17 metres above the Kleistgasse in the third district of Vienna. The bridge with a span length of 22 metres was completed in May 2009. 10 DESIGN and Buro Happold have won the international design competition for the key signature gateway bridge for the new Shizimen Business District in Zhuhai, China. Working together in one of their first collaborations the 10 and Buro Happold team set out to create a simple and elegant structural solution for a bridge that would be a visual focal point both within the Shizimen District itself and along the Pearl River Delta coastline. That cannot be a bridge. The open international idea competition for pedestrian bridge in the heart of Amsterdam prompted us to ask ourselves a question – how to combine in one building several elements that would result in designing a unique and outstanding bridge. 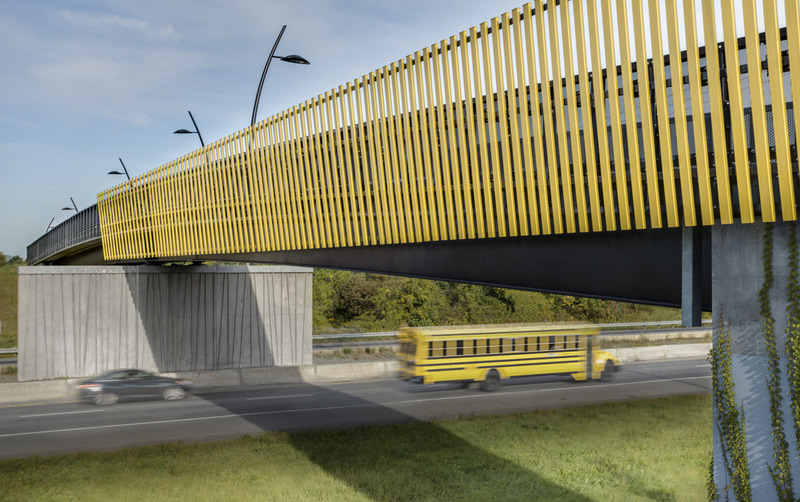 The name of the competition – Iconic Bridge made us seek ideas with a strong formal expression and unconventional functional and technical solutions. Organizers also defined number of functional requirements that had to be met – among others, the bridge had to ensure freedom of vessels movement on the river and make it possible to arrange café bar and bicycle repair area on the bridge. T.Y. Lin International (TYLI) announced that the new Tempe Town Lake Pedestrian Bridge in Tempe, AZ has been completed and is officially open. The $5 million bridge complements the existing aesthetics of the Tempe Town Lake area and features unique criss-crossing parabolic arches that lead as a gateway into the Tempe Center of the Arts. 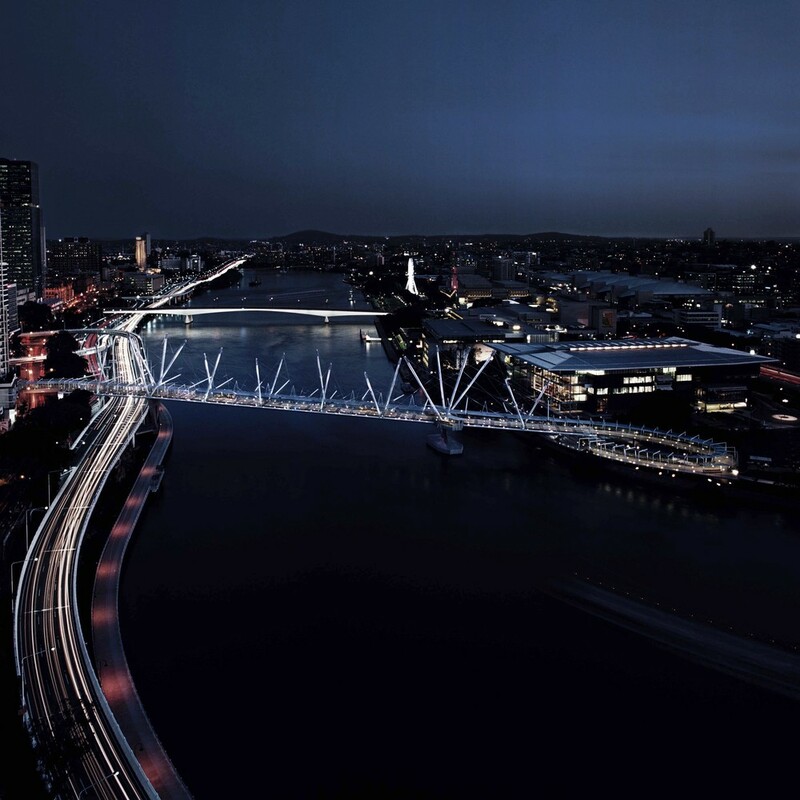 Kurilpa Bridge, Australia, designed by Cox Architecture, has won the ‘World’s Best Transport Building’ award at the prestigious World Architecture Festival (WAF) Awards 2011. The presentation of the WAF Awards are taking place during the largest global celebration of architecture – the World Architecture Festival, which is being held at the Centre Convencions International Barcelona (CCIB) this week.